Below is a sample of available photographs by Bradford Washburn photographs. Please contact the gallery at info@panopticongallery.com for a complete inventory. 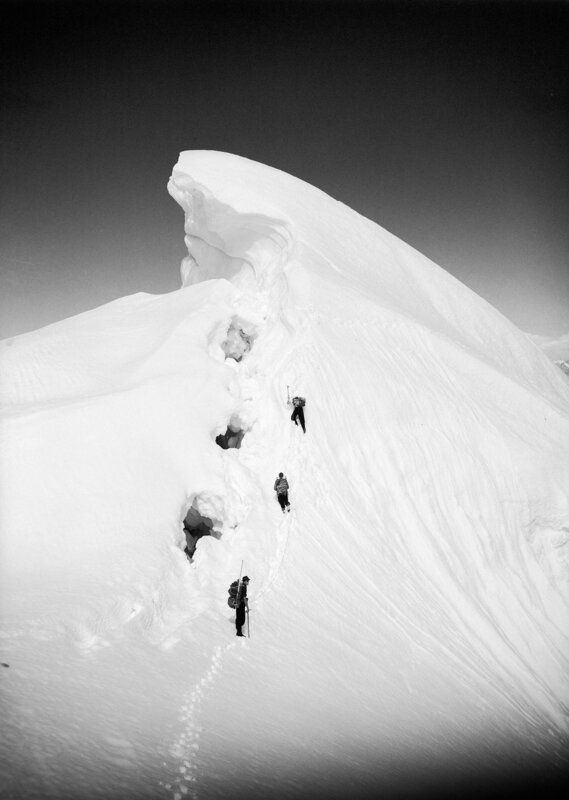 Bradford Washburn (1910 -2007) was an American, internationally renowned photographer, cartographer, and expert on Alaska's mountains and glaciers. He was Director of Boston's Museum of Science for over 40 years and served as Honory Director until his death in January 2007. 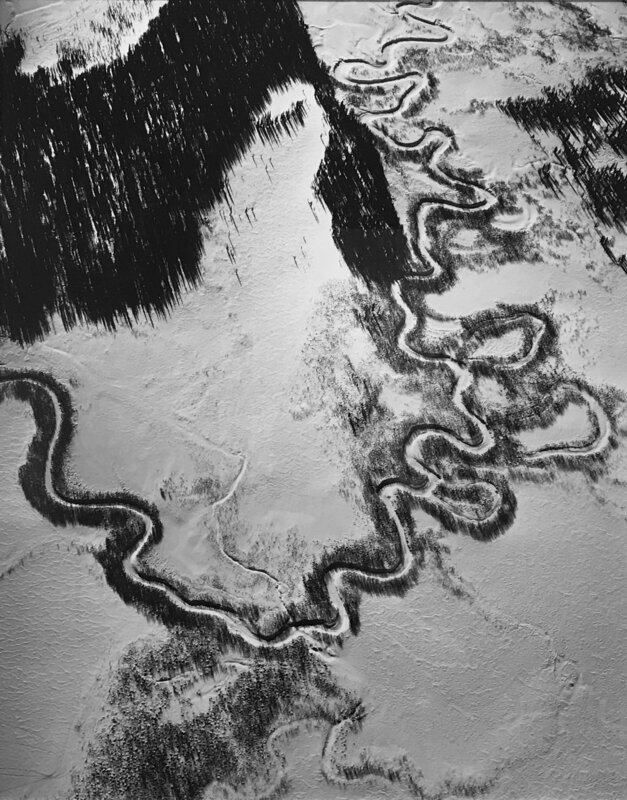 A pioneer of arial photography, his images of mountains are majestic, serene and sublime and his photographic work spans over six decades. Working primarily with his Fairchild K-6 large format aerial camera using 8" roll film, the technical and aesthetic quality of his images are exquisite. 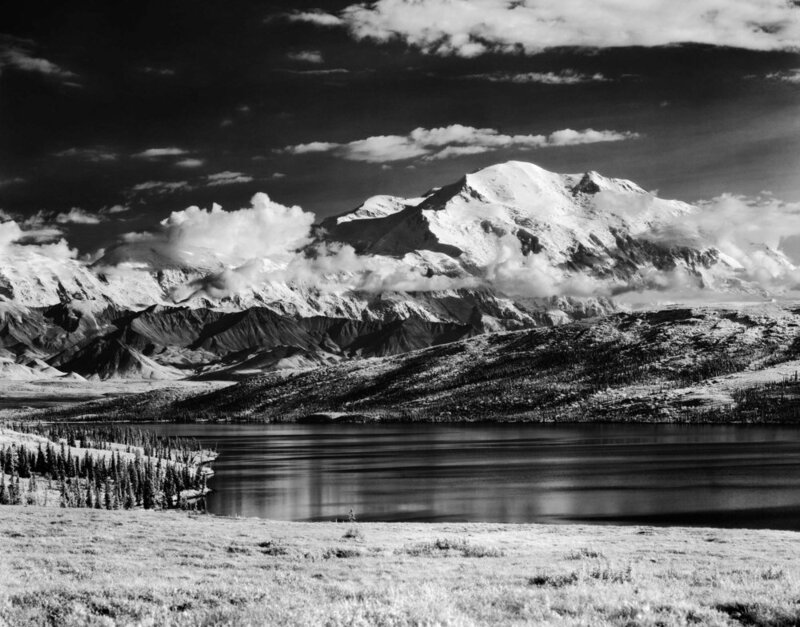 He concentrated particularly on the mountains of the Yukon region of North America, producing on of his best-known maps, of Mount McKinley, in 1960. Dr. Washburn was a Fellow of the American Academy of Arts and Sciences, London's Royal Geographical Society and a leading authority on Alaska's mountains and glaciers. 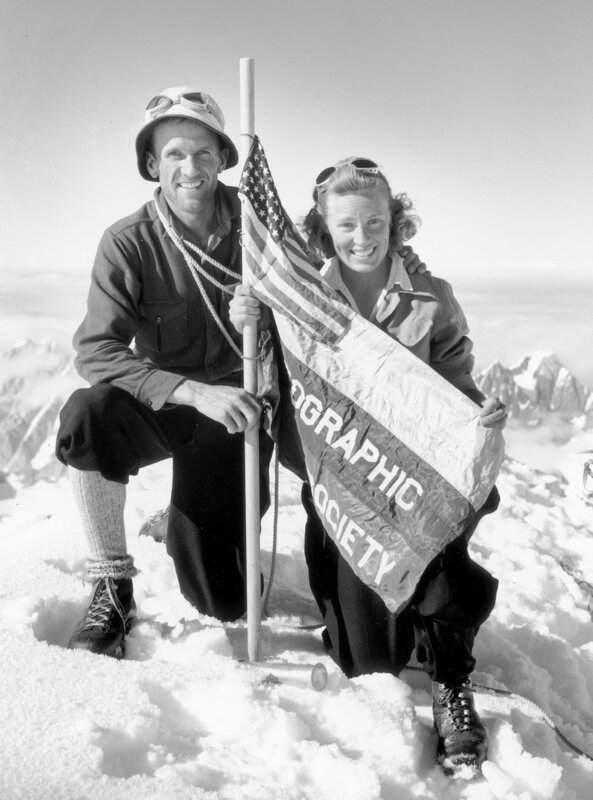 In 1988, Dr. Washburn and his wife Barbara were honored with the Centennial Medal of the National Geographic Society. Bradford Washburn is responsible for definitive maps of McKinley, the Grand Canyon, Mount Everest and New Hampshire's Presidential Range and was a member of the 1992 survey team that made the first laser measurement on top of Mount Everest.